This server has received 2229297 hits from both ipv4 and ipv6. 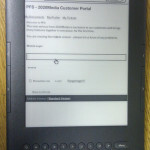 The UK Amazon Kindle plopped into our letter box this week and we’ve been trying it out. 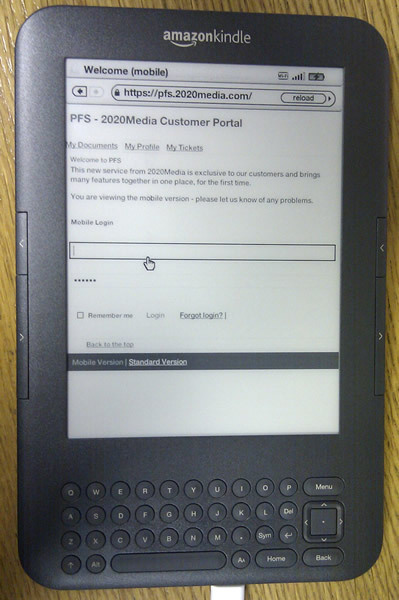 The first thing we did was try out the built in web browser, and we’re happy to report the 2020Media customer portal works just fine. A special add-on to Joomla reformats the pages for mobile devices. The second thing was look for games 🙂 A couple of games have been launched, but the Kindle has a built in game – the venerable Minesweeper. To start the minesweeper game on the Kindle, go to the home menu and then press the Alt, Shift, and M key simultaneously.